Here come a new chapter with nothing really happen with the plot, but it probably makes you want to read some old chapter. Also, there’s a little mistake in chapter 58 so I create a ver.2. It’s just a small change but you might want to download it anyway. Stop saving color images as PNG-8. Use PNG-24 or max settings jpg, they look awful as PNG-8. This chapter had me sighing (and laughing) nostalgically. Thanks! 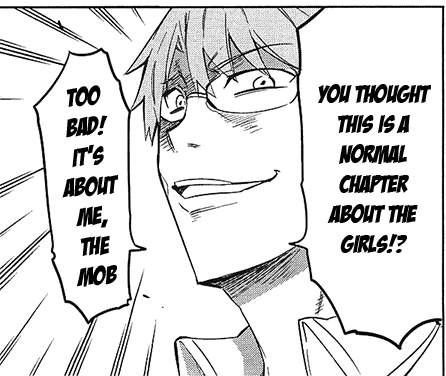 Well… Are that two mob guys doens’t have introductions? At least they name? Are you know?